A four-year old girl has died of malaria after apparently contracting the disease in northern Italy in a case that has perplexed the medical world, doctors said Tuesday. “I’ve never seen a case like it, it’s a mystery. It shouldn’t have been possible for her to get malaria,” Claudio Paternoster, head of the infectious diseases department at the Santa Chiara hospital in Trento, told AFP. The girl, named as Sofia Zago by the media, had not travelled to any at-risk countries but had spent her summer holiday with her family at the seaside in Italy’s Veneto region. She had then been admitted for other health reasons to the paediatric department of the Santa Chiara, where she had come into contact with two children who had picked up malaria during a trip to Burkina Faso in Africa. 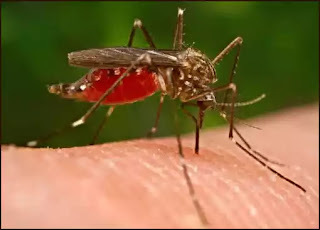 “But only some types of mosquito are able to transmit the disease from person to person, and they don’t exist in Italy,” said Paternoster, who was called to consult on Zago’s case over the weekend. While there are a few cases of malaria in Italy a year, “they are so-called ‘suitcase’ cases, where someone has brought an infected mosquito back with them from Africa,” he said. Zago was diagnosed with malaria on Saturday and transferred to intensive care, but rapidly deteriorated on Sunday. “It was a very hot summer and with climate change we cannot rule out the adaptation of some species (of mosquito) or the re-introduction of others” which could transmit the disease, Paternoster said. Malaria was rife in Italy in the 19th century, particularly in the centre, south and islands. But after mass draining of marshlands and the widespread use of the medicine quinine, by 1962 the country was declared malaria-free. According to the World Health Organization, there were 212 million cases of malaria worldwide in 2015, and 429,000 deaths. Ninety percent of malaria cases and deaths occur in Africa. Children under five are most at risk.